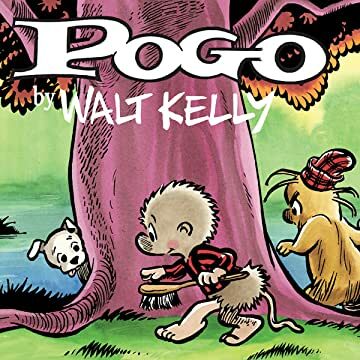 Walt Kelly blended nonsense language, poetry, and political and social satire to make Pogo an essential contribution to American “intellectual” comics. 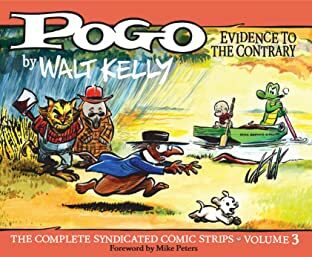 As the strip progressed, it became a hilarious platform for Kelly’s scathing political views in which he skewered national bogeymen like J. Edgar Hoover, Joseph McCarthy, George Wallace, and Richard Nixon. 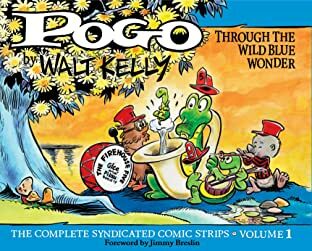 Walt Kelly started when newspaper strips shied away from politics ― Pogo was ahead of its time and ahead of later strips (such as Doonesbury and The Boondocks) that tackled political issues. 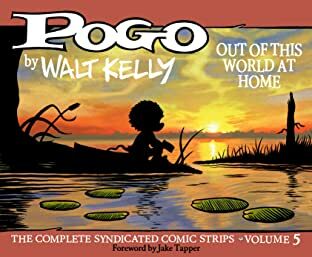 Our first (of 12) volume reprints approximately the first two years of Pogo ― dailies and (for the first time) full-color Sundays. 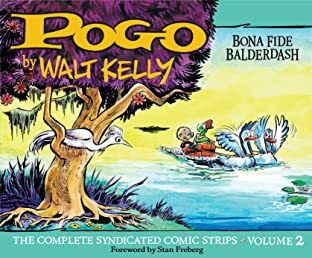 This first volume also introduces such enduring supporting characters as Porkypine, Churchy LaFemme, Beauregard Bugleboy, Seminole Sam, Howland Owl, and many others. 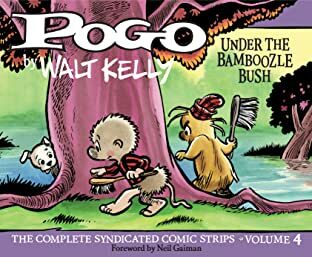 And for Christmas, 1949, Kelly started his tradition of regaling his readers with his infamously and gloriously mangled Christmas carols.